Another small cake with an old-fashioned look. 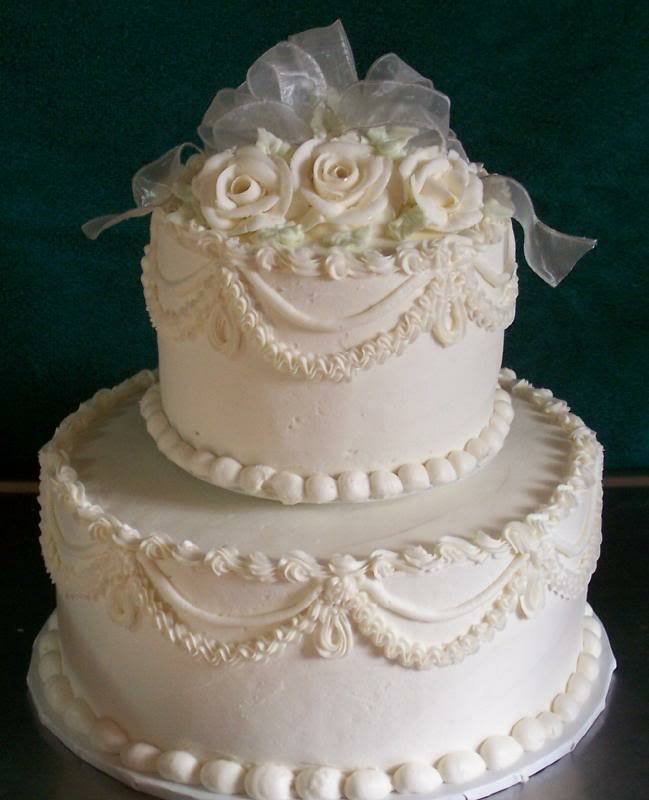 Ruffle drape on the sides topped with White butter cream roses and ribbon. Incredibly beautiful piping, Betty. Here is another one I love!